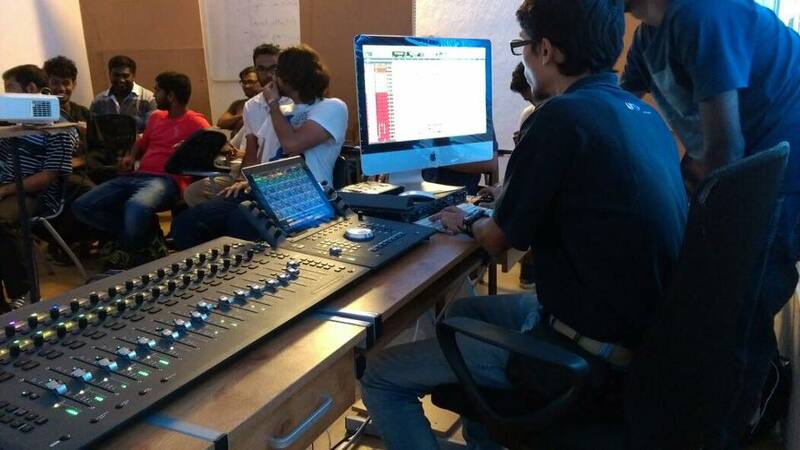 This week at the academy, Avid product specialist Deepanshu Misra, conducted a workshop on Avid’s Protools 12.5 paired with the Avid S3 Console and and The Protools Control iPad Dock. Deepanshu explained the concepts of digital audio, Aanalogue to digital and Digital to analogue converters in depth. He emphasized the importance of the various components of such audio interfaces, such as the clock generator and use of dither in order to explain the quality differences in high end and moderately priced interfaces. The subject of ‘digital audio workstations’ came about followed by an objective assessment of the strengths of different popular DAWs. When the question of why is Protools the go-to software for most professionals in the industry, Deepanshu answered it in very matter –of –fact tone. 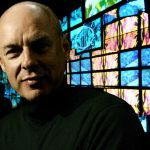 He explained that, ever since it’s inception, the developers of Digidesign (now Avid), have refused to cut corners and only put out highly reliable software to meet the high standards of the professional audio recording industry. After he fostered an awareness of what Protools means to the audio industry at large, He talked about the latest developments in the software. The latest incarnation of Protools, Protools 12.5 now allows users to upgrade to newer versions based on a yearly subscription fee. Terrific news to all studio and post-production houses as this move allows for tremendous cost cutting. A new interesting feature that allows artist and producers to collaborate through the cloud collaboration platform is introduced in this version. Allowing big and small artist alike to work with industry legends such as Andrew Scheps. Deepanshu opened up a Protools session that was recorded as a part of a competition organized by Avid to promote the new cloud collaboration feature of Protools. He explained how the session was recorded, by industry veteran Andrew Scheps working with the contest winning band. Deepanshu took this opportunity to show the functionality of some of the new plugins by mixing down the session and giving the students an insight into Protools’ mixing workflow. 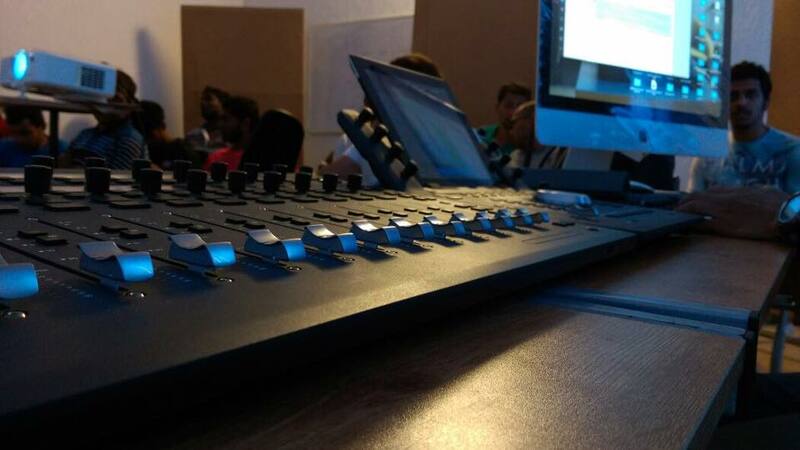 The workshop came to a close with students eager to try out some of the mixing tips.